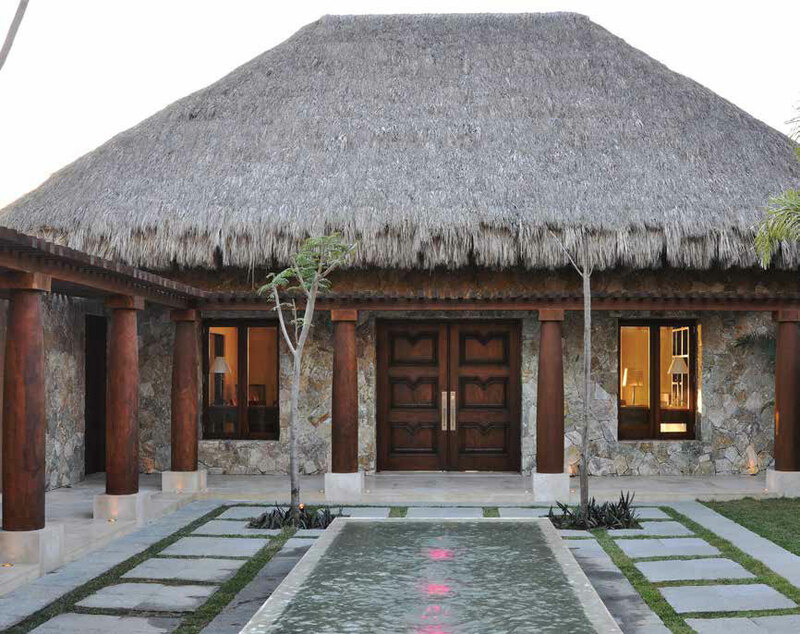 This vacation home in a Mexican resort town outside of Puerto Vallarta was the second project that Woodland did for the couple. The double doors for this patio entrance echo the double doors from the main entrance in the front. 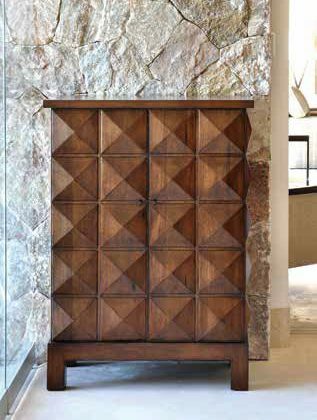 Lynn Harker says, “These doors are extraordinary and establish the tone for the home.” Certainly they set the expectations high for what’s inside. The Woodland-crafted doors set the stage, and other architectural elements complement the elevated living experience. 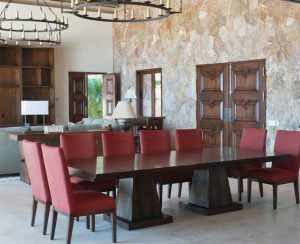 From the side doors to the custom-crafted dining room table and the Woodland chandeliers, the entire home and the elements within speak the same vernacular—luxury. 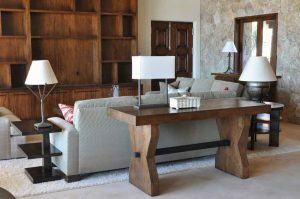 Over 20 years ago, Lynn and Pat Harker saw that there was a gap in the high-end interior design to furniture fabrication market. Pat, an experienced interior designer working in the luxury home market, recognized that there was a need for high-quality custom furniture fabricated at reasonable prices with reasonable wait times. Lynn, who leads the charge at Woodland Furniture, says, “We saw a business opportunity, a chance to fill this gap in the luxury home market. Interior designers wanted better options for their high-end clients. They wanted highest-quality craftsmanship and true custom capability—all for better prices with better delivery times. That was our target, and it’s been a pretty good formula.” When you look at the breadth and quality of Woodland’s work, you understand that “pretty good formula” might be an understatement. 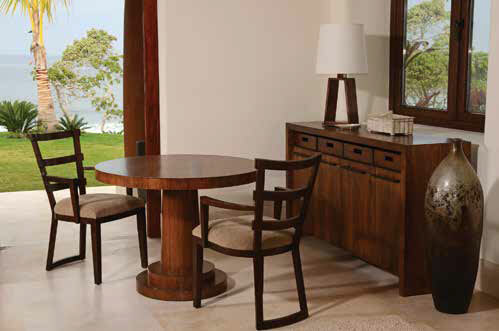 Since its inception, Woodland Furniture has established a stellar reputation for the quality of their work, the fair pricing, and the timeliness of their deliveries. It’s no wonder that Woodland has earned this reputation; it’s a company priority set by its founder. “We work with customers who expect nothing but the best,” says Lynn. The three-tiered pattern is repeated, but not identical, on the other side of the couch. 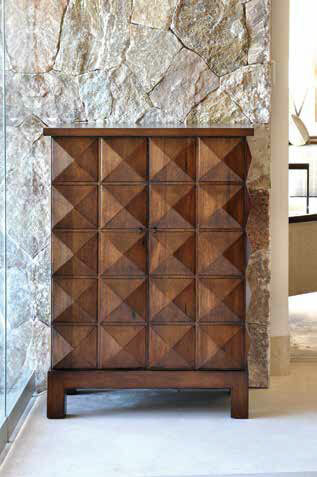 Both side tables are conversant Craft-5with the dramatic sideboard behind the couch. The darker wood of the rod through the bottom of the sideboard is consistent with the darker wood of the side tables. The geometry of the tables (rectangular and circular), the metals of the lamps, as well as the geometry of the bases and the shades all blend for a seamless look. 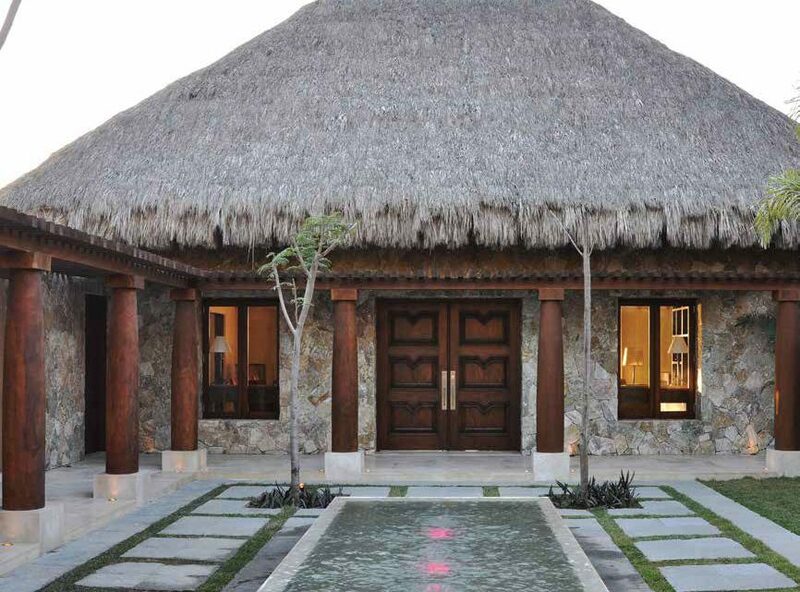 Speaking of luxury, this home in a Mexican resort town—owned by a couple who also owns a home in a mountain resort area—exemplifies the caliber of Woodland’s work. From the exquisite and dramatic front door to the bedside tables and everything in between, Woodland’s quality craftsmanship has left its indelible mark. Lynn says, “When we work on a project, we are committed to helping our interior designer clients realize their visions. We want to make sure that when people walk into a space, their immediate reaction is, ‘Wow—this is even better than I ever imagined!’” For Lynn, and truly for all of us even though we may not be tuned into it, that ‘wow’ factor comes from a space that makes sense, with dimensions that are well-planned and well-executed, where the furniture fits the scope, and where architectural elements—anything attached to a house like the fireplace, doors, moldings, and beams—are special and well-crafted, making the home distinctive. Lynn admits that none of this happens by accident. “For a home to have that impact, it takes a great team—from a homeowner with a vision, to an architect, an interior design team, and a company like Woodland that can take the designs and the visions from that team and make them a reality.” Part of what Woodland brings to every project is an understanding of materials and finishes and years of experience sourcing the right materials for each project. 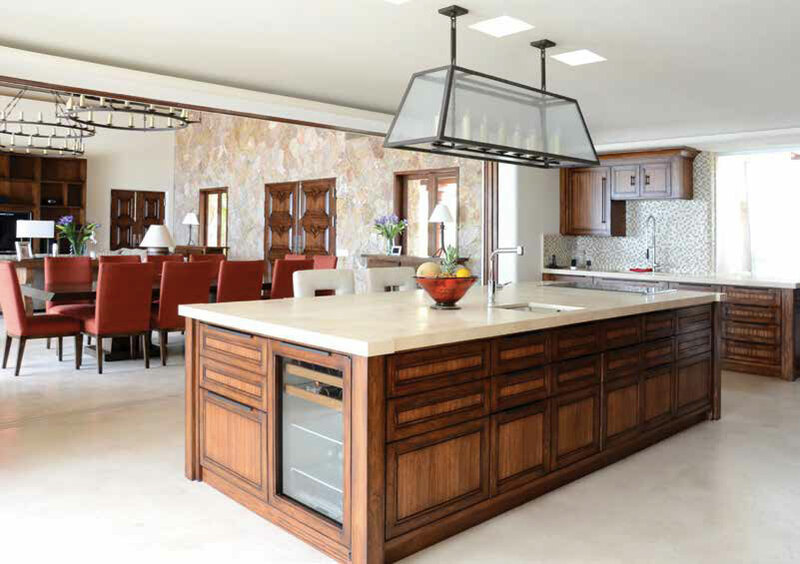 MASTERY IS WHAT WOODLAND DOES; THEY JUST HAPPEN TO HAVE MASTERED EVERYTHING FROM CUSTOM FURNITURE, MILLWORK, AND ARCHITECTURAL DETAILINGS TO RUGS, LIGHTING, AND UPHOLSTERY. For the head of a company with customers spanning the globe, it’s a bit surprising (at first) that Lynn can recount specifics from every project we discuss in detail. But then again, he has built a business on attention to detail, so it shouldn’t be a surprise. 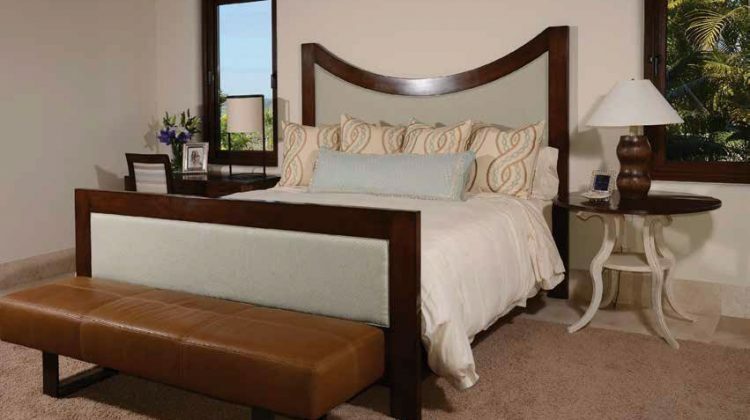 Lynn says, “We’re here to serve the vision of creative interior designers whose clients expect the best. There’s no better affirmation of what we do than hearing how much the homeowners love their newly finished home.” Nothing less than “WOW!” will suffice for Lynn and the rest of his Woodland Furniture team. 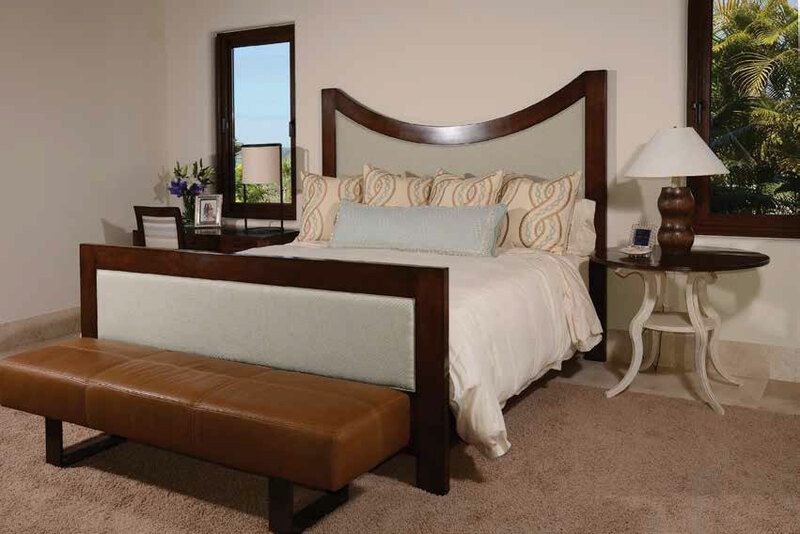 FOR MORE INFORMATION, CALL WOODLAND FURNITURE AT 208.523.9006 OR VISIT WOODLANDFURNITURE.COM. An example of the true, custom-crafted work done by Woodland. The details of the doors, the raised diamond shape, offer depth and dimension to this beautiful table.